Stuart Moore brought up the existence of a swell-looking cross between CYOA, text adventure and point and click - sort of like SUDS - The Next Generation. I just thought I’d post it here to increase awareness, as I find it a very nice tool - at least from the player’s point of view. Have no idea what it’s like to author for it. I would have probably tried it if the webpage for it wasn’t all in Russian (and no, Google doesn’t translate very well). Well, there’s always this - instead.pinebrush.com/wiki/en/doku.php?id=doc-en. And it seems that every game file can be opened in a regular text editor, so that, as the documentation says, the best documentation is opening up games at looking at their innards. And it is not CYA engine, it is adventure engine. 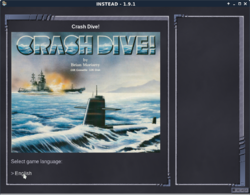 You may play english or spainish tutorial to see what type of games it was made for. We are always glad to help with code and docs. Here, or in our forum, or in jabber conference: instead@conference.jabber.ru. Currently our site instead.syscall.ru is multilingual resource. Also good news for Debian and Ubunto users! Sam Protsenko have pushed INSTEAD 3.1.2 into the Debian! Currently it is in unstable (sid) branch of distro, but sooner or later it will get into testing and stable branches! Good work Sam! The main feature of Instead v.3 is NEW lua stack, named STEAD3. Unfortunately, the documentation is currently in Russian only. We are looking for volunteers to make English translation. “Classic adventure that pits you in a race against time. As the sole survivor of a terrible act of naval sabotage, you must find a way to keep your ship out of the hands of the enemy. 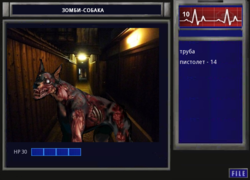 New amazing game in the instead-games.ru/ repo. The good story about space, electronics and adventures. 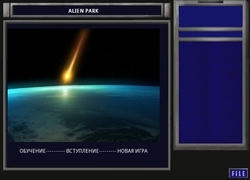 Sci-fi horror “ALIEN PARK” contain contain puzzles 12 terrifying monsters and 3 different endings. The library is a whole planet reserved for books. But two hundred years ago something strange happened on it and now nobody flies on it. Another episode from the adventures of the brave captain Kirkunov, the prudent Morse senior officer and the self-sacrificing crew of the BSS “Сonstellation”. After the accident in hyperspace, the “constellation” combat spacecraft appears in the vicinity of the black hole. Before Morse’s senior assistant there is a difficult task to mobilize the crew in the face of imminent death. This is a classic insted-quest. Achivments inside! Wow, great!!! Instead run on the buttons phone! Happy New Year! Gift avalible on GitHub! The game engine “Instead” in four games is used in the KRIL competition! We are waiting for the links for playing the games. Wow! Links for KRIL-2017 games awalible!